As we start our 14 th year of offering Fishing Holidays in The Florida Keys and during a short enforced hurricane break, good news all going well and should be back to normal mid January, I have decided to take a look at what we do and give some basic information for customers. 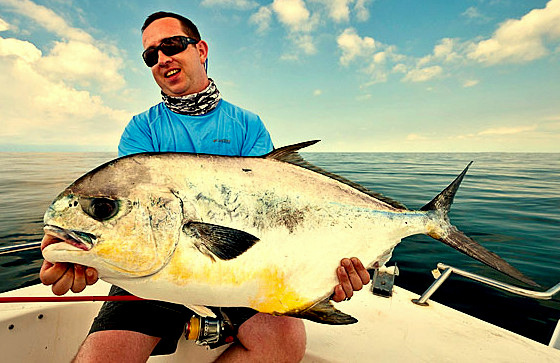 Call me hard-core or old school but to me it was all about what’s on the tin and our tin said Fishing Holiday in the Florida Keys so it was all about the fish. I now have to put my hands up and in a few cases this has come back to bite me and yes I got it wrong however I still have the words of an old Florida Guide in my ears. ” The one good thing about a mistake is that it should not happen again so it’s a learning curve. ” So I hope I have learned and must ask what each customer what they want and learn more by asking more, its a very British thing to suffer in silence. So back to the fish and this is where the Florida Keys and our fishing holidays have excelled over the years. 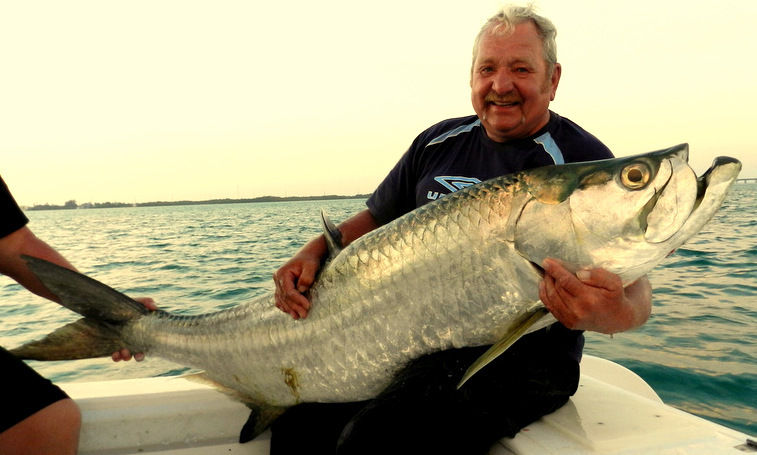 The most iconic fish and still number one on most people’s bucket list is tarpon and that 100 lb fish of a lifetime. Of the 127 different species we have had to the boat so far its still our number one and over the years we have done very well with fish to 208 lbs and it still brings the biggest smile. It’s a shame we can no longer do the money shot of a monster on the lap but the boffins a couple of years ago said no more so all fish over 40 in must stay in the water so be it. Yes its a tough fish very hard mouth and loves to tie you up round the bridges or smash you up with a massive jump but its all the better when at last you have your fish by the boat job done. Number two I thinks still has to be a big permit. Over the years again we have done very well on big permit and twice have been just pounds away from a Florida record with near 50 lb fish. Yes we target the fish on their annual spawn on the offshore wrecks but the boat is an all round boat not suited to the flats where the permit normally live. Once you hook that fish near the surface and it starts its power runs to the wrecks down over 100 ft you will understand just how a good drag works on a reel. The only problem is the shark also like the permit spawn a pain to most boats but most Brits love the shark so game on. 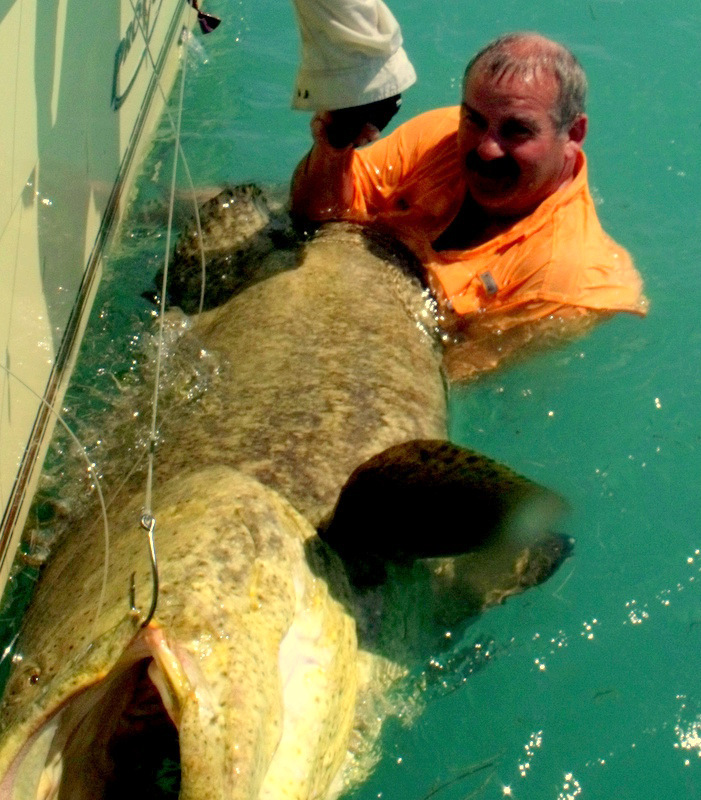 Over the years an other strange one on a few bucket lists is can I catch a fish as big as me well in the Florida Keys this is not a problem. My not so little helper with this request is our Goliath Grouper with over the years many fish near 500 lbs a true monster. We have to put a big thanks to master angler Jim Whippy who on one of his trips came up with a method to get these fish back to the boat and boy does it work. Not for the faint hearted again mega smiles when you win the fight no not the fight more battle and it’s always a shock as this happens in less than 12 ft of water. My own personal fish still has to be the Sailfish there is not a video or photo that comes close to fully light up sail by the boat just an other level. 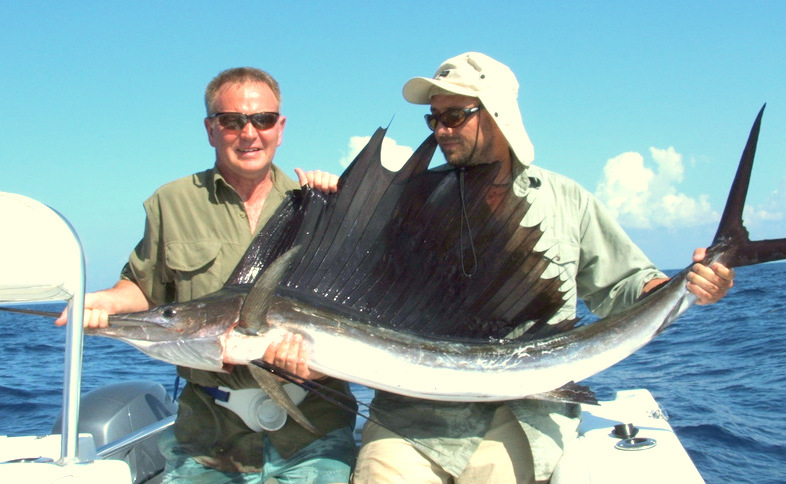 I have just mentioned four species of the 127 in this blog and it still blows people away that on a good week its possible to have over 50 different species to the boat ( boat record is 55 in 6 days ) so the best way is to beat the cold wet windy UK and come on over the Florida Keys and make those dreams come true.